It’s prudent to have a safe place to go to in case of emergencies, and what better place than your basement. Hurricanes, tornadoes, blizzards and other natural disasters are all too common. While others panic and run for last minute preparations, you can calmly retreat to your basement (through a hidden trap door) that’s wisely stocked with everything you need to ride out the disaster. 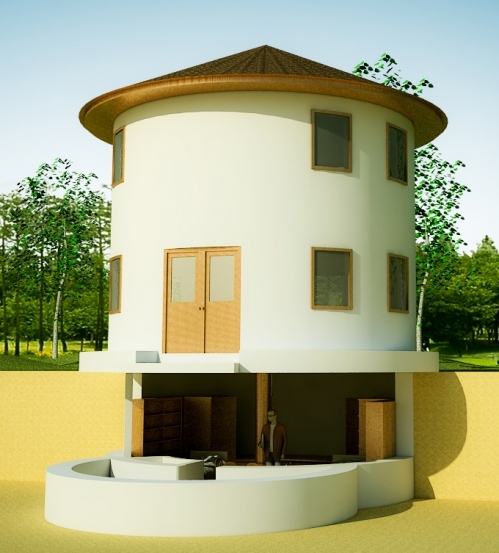 20’ DIA roundhouse, 314 sq. ft. interior first floor, 252 sq. ft. interior loft, 314 sq. 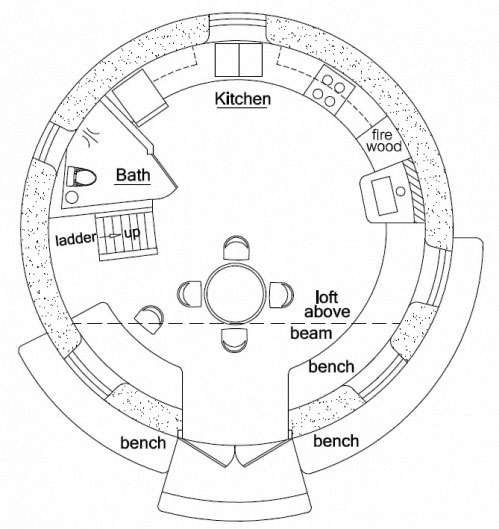 ft. interior survival shelter plus pantry), 880 total square foot interior; footprint: 23 DIA, 23 x 31′ survival shelter. 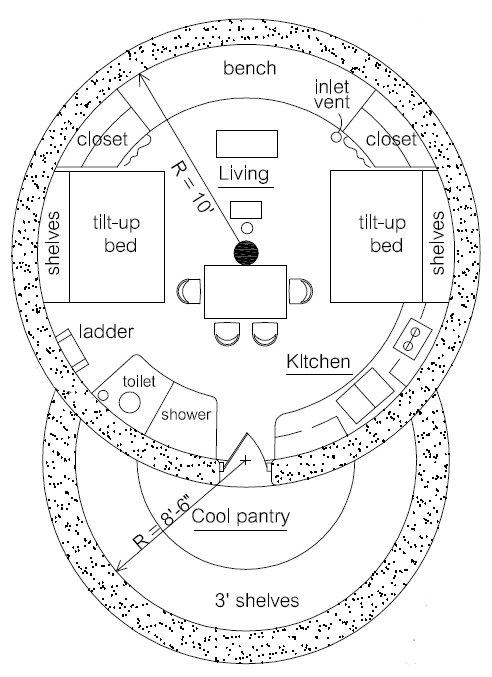 I love the layout of this, but I don’t really want a survival shelter so much as I’d like a couple extra bedrooms. Could this be redesigned with a spiral stair case to the second floor and walled off into two bedrooms? I can visualize what I want, but I don’t have the skill, or understanding of structural needs to design it. Sure you can design things any way you want. 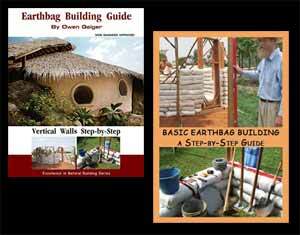 You’ll need to hire a local designer who knows the codes, soil, climate conditions, etc. since I no longer do custom plans.